Nashville MLS has announced the appointment of Ian Ayre as Chief Executive Officer. Ayre, formerly Chief Executive of Liverpool Football Club, will assume the responsibility of building and leading the Nashville MLS club. “We are committed to bringing world-class soccer to Nashville, as evidenced by the appointment of Ian as our CEO,” said John Ingram, lead owner, Nashville MLS. “Ian understands our vision for Nashville MLS and has the skill and experience to bring the best in soccer to our city. Ayre has an extensive background in sports, media and technology, most recently as Chief Executive of Liverpool Football Club. During his 10-year tenure with the club, he was responsible for rebuilding the organisation at all levels. After initially securing a record-breaking sponsorship deal for the club, he went on to restructure the entire commercial, operational and football elements of the business as well as oversee the successful $160 million stadium expansion. Ayre was directly responsible for all player transfer negotiations, including contract negotiations on more than 100 player contracts (acquisitions, sales, loans, extensions), including Phillipe Coutinho, Steven Gerrard, Luis Suarez, Roberto Firmino, Raheem Sterling and Sadio Manè. He also worked with five leading coaches – Rafael Benitez, Roy Hodgson, Kenny Dalglish, Brendan Rodgers and Jurgen Klopp. During his time at Liverpool, Ian served on the UEFA Competitions Committee as an elected member and in 2016 was voted fcbusiness Premier League CEO of the Year at the Football Business Awards. “The opportunity to put Nashville on the national and international soccer map is a truly outstanding challenge, and I literally cannot wait to get started,” said Ayre. 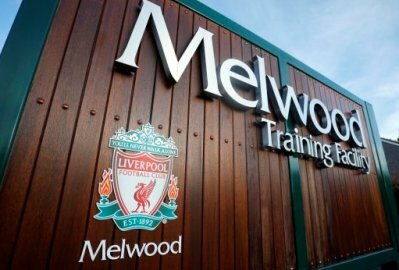 “In my experience, the key to success in building sports clubs is to create a bond and unity between the owners, the team and the fans,” said Ayre. Following his 10-year tenure at Liverpool Football Club, Ayre served briefly as managing director at 1860 Munich in Germany. He and his family will be relocating to Nashville this summer.